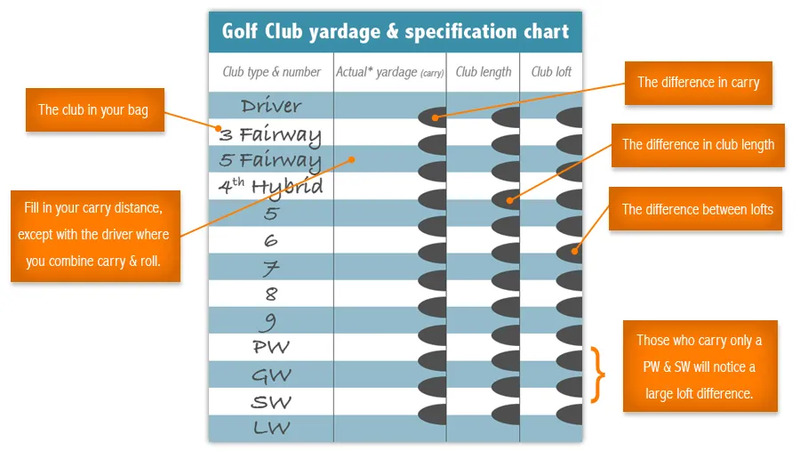 Are you one of the large majority of golfers who’re unsure about exactly how far they hit each of their clubs? When completing this table, resist the inclination to list your exceptional distances, and list your regular distance. It’s not just poor ball contact that causes golfers to come up short. Playing the wrong club is a large factor with regular golfers. They either choose a club and are unsure about how far they’ll hit it, or select it based on their perfect strike. The best players play within themselves on most shots, knowing that the key is consistency. Why don’t you plan to do just that this year? 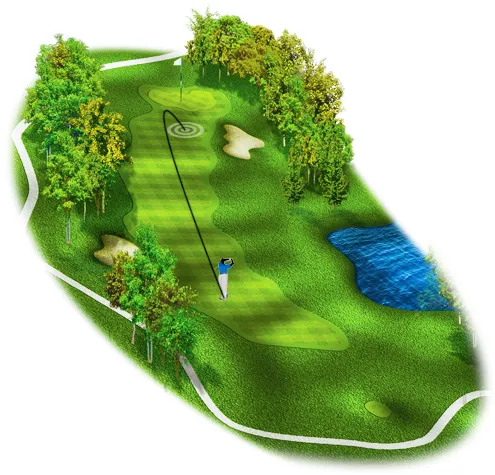 Why not have us check your distances with each club together with you? We can make sure that you’re not over stretching, and help you get this as perfect as possible. We can help identify gaps or even the places in your bag where there’s very little or no distance gap. We can also offer advice on improvement. Know your data.